Learn more about our catering partners at Chelsea Piers. Fine Food by Abigail Kirsch is devoted solely to hosting a wide range of private events, both corporate and social. All food is prepared on-site by our world-class chef under the guidance of renowned caterer Abigail Kirsch. With 4-star food and impeccable service, Abigail Kirsch has elevated banquet food to the level of fine dining found only in the best restaurants. From brides to brands, Neuman's Kitchen brings 34 years of award-winning expertise to every event. We live at the intersection of art and commerce, combining innovative cuisine and seamless professionalism to craft the perfect guest experience. Experts in design and event production collaborate with our chefs to create bites like Mini Montauk Lobster Rolls and Blue Crab Croquettes served with yellow tomato aioli. Your vision is Neuman's Kitchen's inspiration. Watch us bring your ideas to life. Sunset Catering offers delicious food at affordable prices for events ranging from company outings to proms to not-for-profit fundraisers. Sunset Catering offers include a hearty Italian buffet and a delicious BBQ menu. 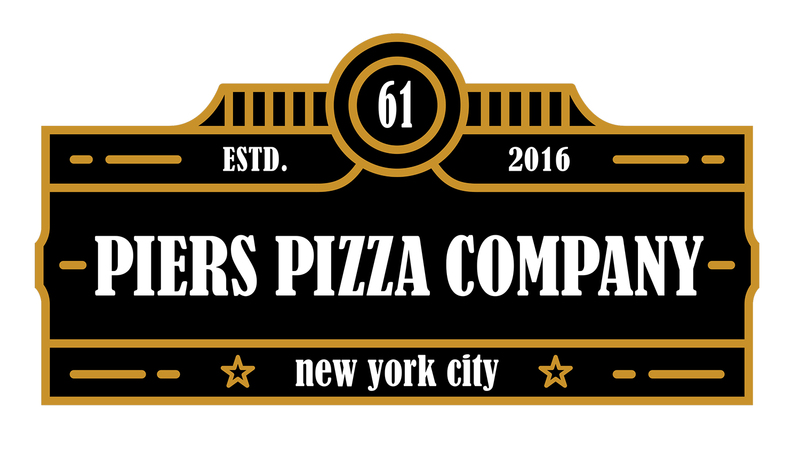 Piers Pizza Company, located onsite in the Sky Rink lobby, provides pizza delivery throughout the complex. Piers Pizza Company has earned a reputation for delicious pies, always served hot and on time.